This is bulk billing accredited practice which is part of a larger group practice and has been established for 3 years. The practice is located in a seaside town on the Mornington Peninsula just over an hour from Melbourne CBD. The practice itself is just 50 meters from a great beach. The practice currently has a full time GP and they have just lost their female GP due to illness so urgently require another GP. There is full time nursing support, practice manager, a dietician and psychologist. It’s expected that you will be busy and booked up by end of first month. They offer a good induction plan and they have a Medical Educator who keeps the GPs up to date with changes in Medicare and other clinical aspects. The GPs work at their own pace but will likely average at 35-40 patients per day. Opening hours are currently Monday to Friday 9am to 5pm but plan to open some extended hours in the future. To be considered for this position you must have MRCGP / MICGP / CCT / FRACGP or equivalent. Mount Martha is a coastal town approximately 1 hour drive south of Melbourne CBD. The practice is located in a shopping area with good facilities and just 50m from the beach! The town has a good socio economic population with a mix of patients. There is a local primary school close by the practice and good transport links. The Mornington Peninsula is around a 1 hour drive south of Melbourne CBD and offers a great lifestyle if you are looking for a slower pace of life to that of the big city. Based yourself in a quaint seaside town with miles of lovely beaches to choose from. 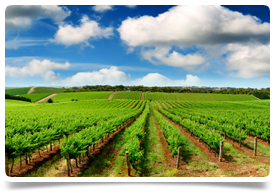 Vineyards a plenty, golf courses, boating and more are all available in abundance. A wide choice of schools, recreational facilities and affordable housing are all readily available.